Free Reports and Articles. Click the link to find out more! Are you looking for a Family Friendly Orthodontist? Choosing an orthodontist for you family can be stressful. You want to ensure a great fit across many vectors: Experience, Cost, Kindness, etc. How are you supposed to make this choice? 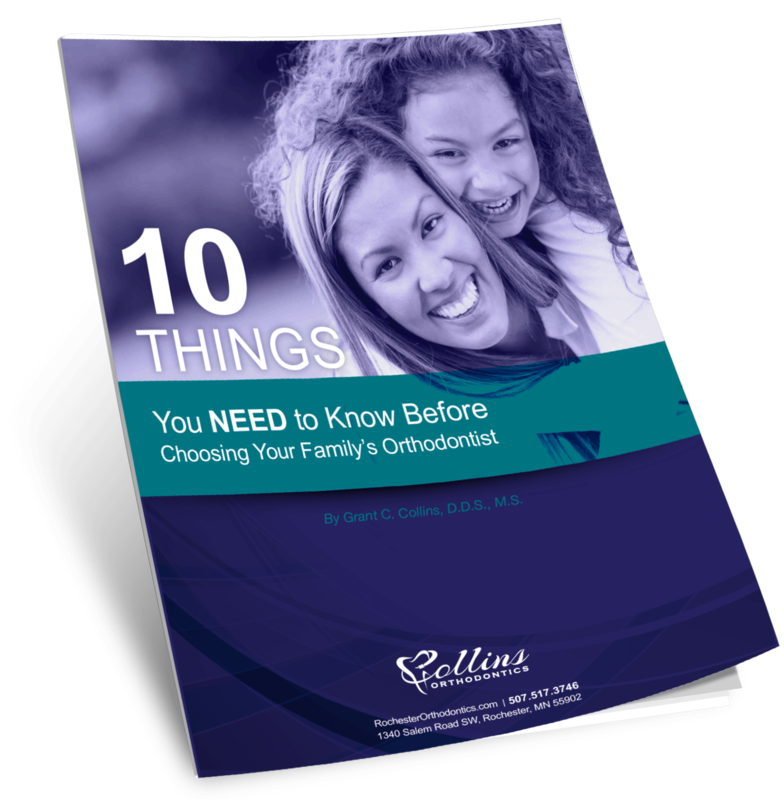 We’ve come up with the top 10 things you must know before choosing your family’s orthodontist. We’d love to share them with you! Are you a Mayo Physician, Consulting or Voting Staff? 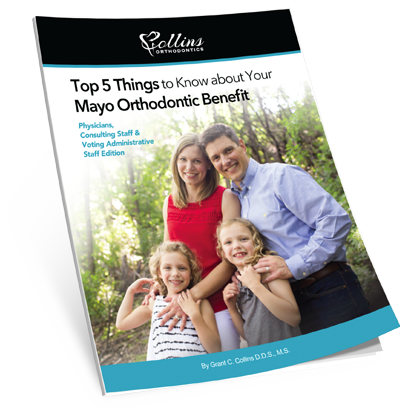 If you are a Mayo Physician, Consulting or Voting Administrative Staff, then you and your entire family are eligible for 100% orthodontic coverage at Collins Orthodontics. Essentially, Mayo Clinic will be covering the entire cost of treatment for you and your entire family. However, we do have some suggestions for you to make sure you end up paying nothing out-of-pocket, and we’ve put these suggestions in this free report. Are you a Mayo Allied Staff Member, Resident or Fellow? 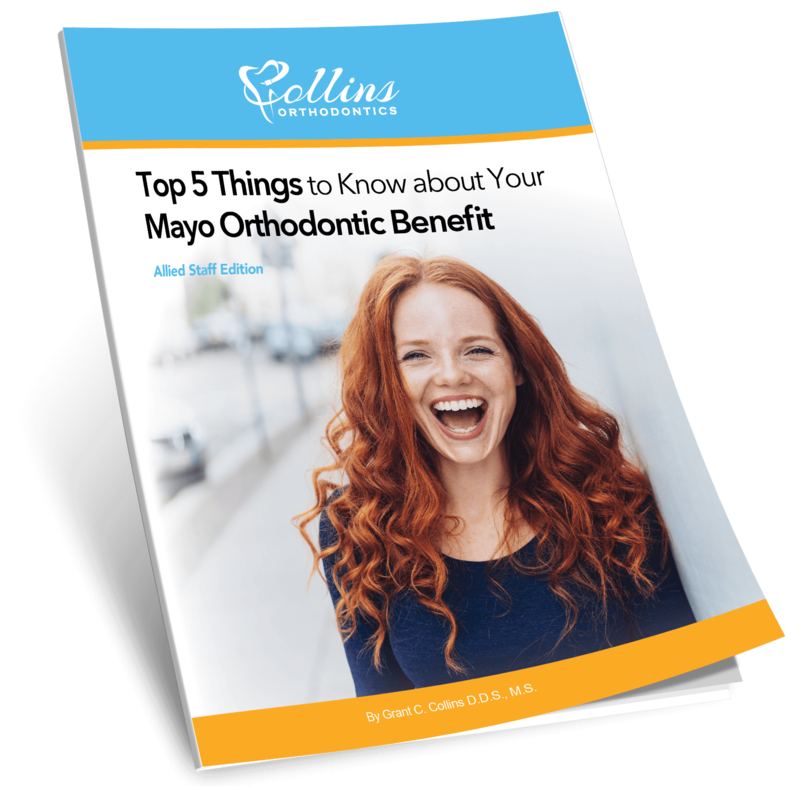 For more information about your Mayo orthodontic benefit, here is a free report to help you maximize your orthodontic benefit. Are you considering braces for yourself or your child? You’ve probably heard of invisalign®, the clear removable trays that many of our patients here in Rochester, MN use to straighten their teeth with minimal changes to their lifestyle. With the invisalign system, Dr. Collins can move your teeth gradually without the complications of metal brackets and wires. 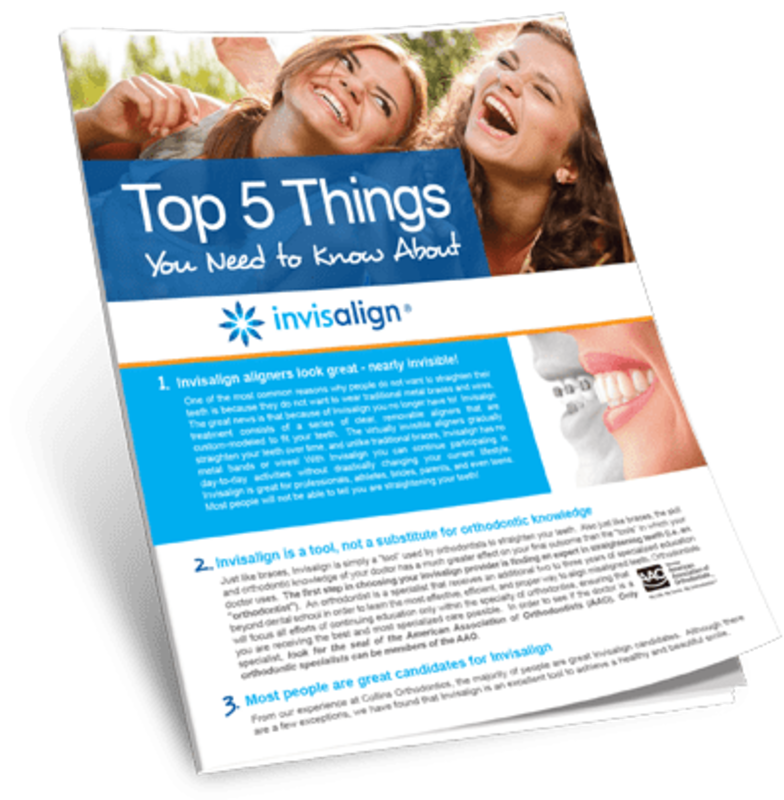 Although invisalign is a wonderful tool that orthodontists can use to straighten your teeth, there are several things you MUST KNOW prior to starting invisalign treatment. If you decide to start invisalign treatment without knowing these items in advance, your treatment outcome may not only end up less than ideal, but it could end up destructive to the health of your teeth and smile.